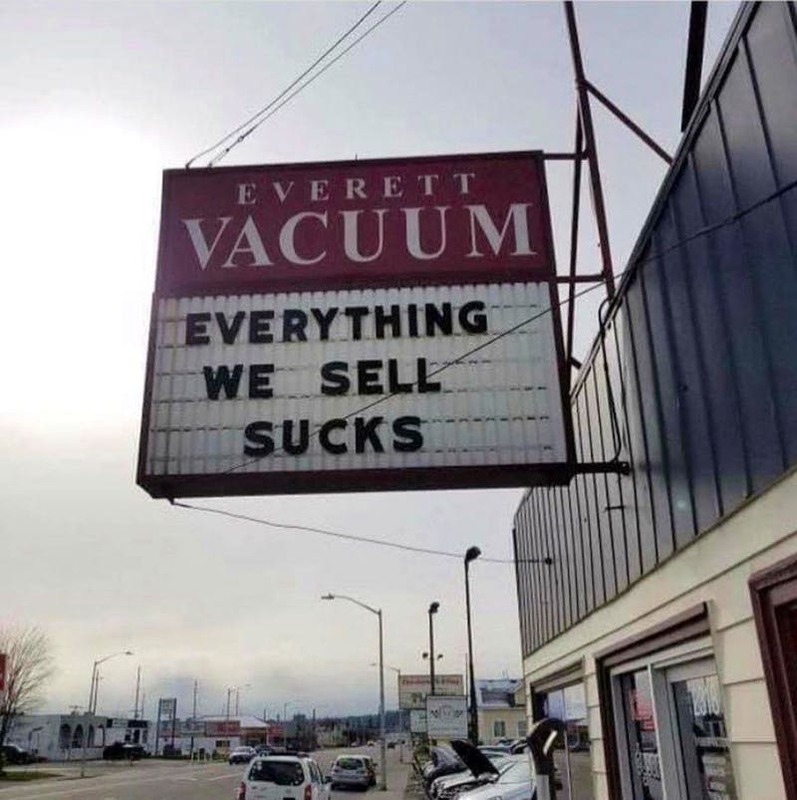 Sometimes people try to come up with something funny to advertise their business because they are tired of the same old marketing tactics that everyone uses! This is how the best pieces of advertising are born! And our personal favorites are the witty signs and billboards that we sometimes see here and there. This is what the list below is about! It shows some of the best signs you can see out there! We have all seen thousands of real estate that brokers tried to advertise by putting a huge ‘for sale’ sign on the front porch or one of the balconies. The trouble is they all look the same and that is not good, because they need to be attractive! The one in the picture here, however, has one tiny detail that makes it stand out! 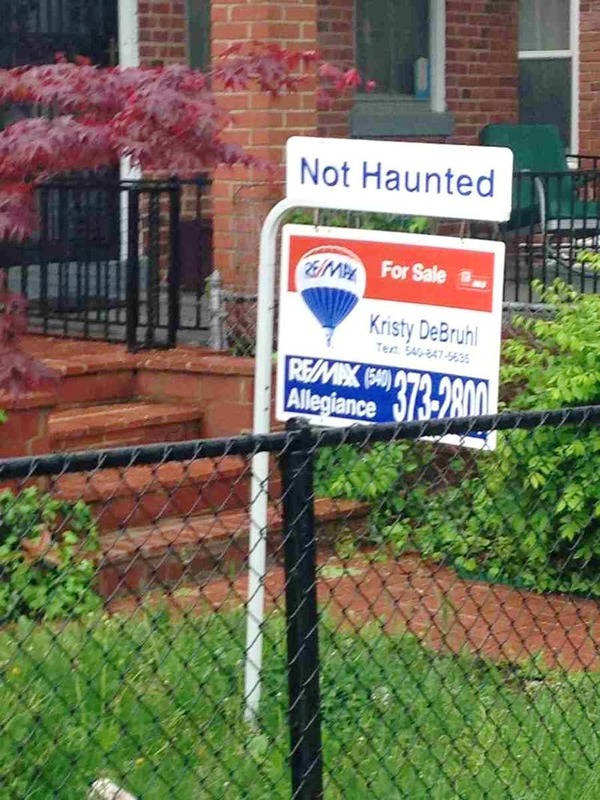 We guess that some people would love to buy a haunted house but most buyers would be amused by this sign and would probably call for details. Sometimes people are able to tell something in a way that nobody would be directly offended by it, but it would still deliver the right message! This is exactly the case here. Being religious does not mean that you need to be obsessed with it! Some people act like religion is their whole life and they do everything in compliance with it, and that could mean they create a lot of limitations for themselves. As funny as this sign is, it also sends an important message! People should be more aware that simple mistakes can literally transform the meaning of a text. Of course, this sign aims to bring smiles to people and this is the main goal, but the other message is equally important, too. Many people would probably think about their writing after seeing the sign and they would try to watch out for any mistakes because of it! We have always wondered which type of puns we like more – the intended or the accidental ones! Maybe they are both equally funny, but in a different way! 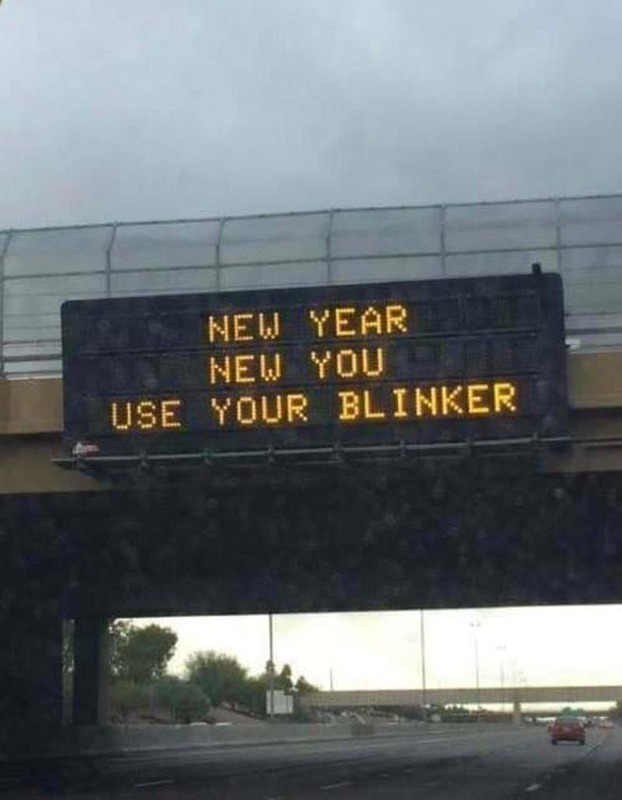 We believe that whoever came up with this sign has a great sense of humor, and we admire that! 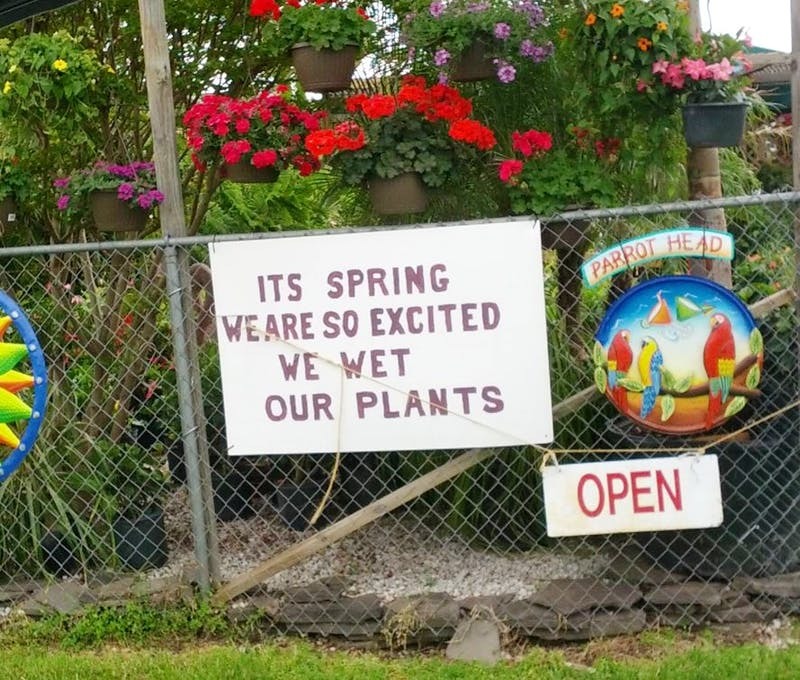 Considering that they actually do have a lot of plants to water in the spring, the sign becomes even funnier. We need to say that we also look forward to enjoy spring as soon as possible! We all love the messages and drawings on Domino’s pizza boxes, but in some cases they use their creativity for their outdoor advertising, too. This is exactly the case here! 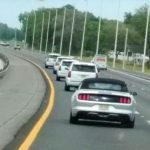 Someone came up with the kind of joke that most people would not be impressed by, because it is not that funny, but we love this type of humor! 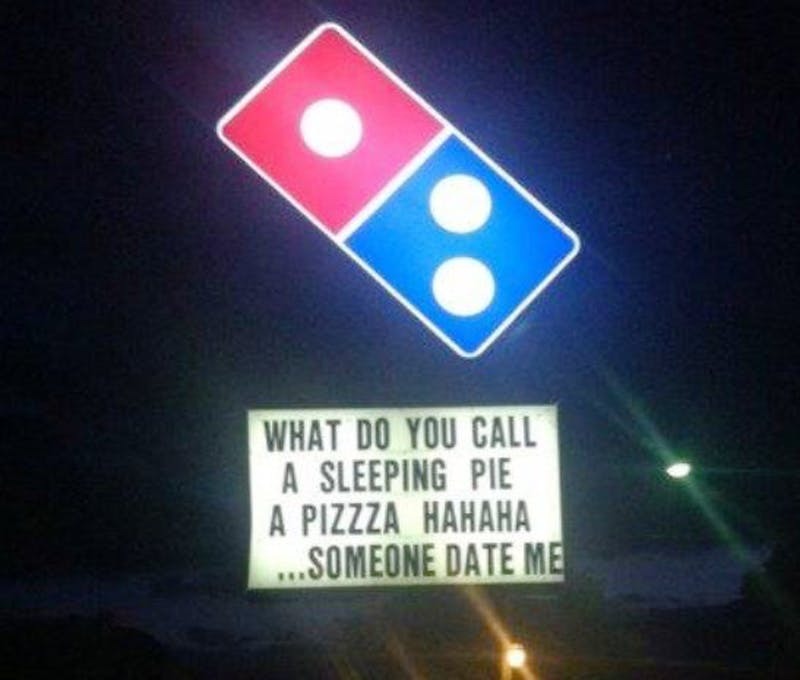 Adding the extra ‘z’ to pizza made it clever, because they wanted to underline that the pie was, in fact, sleeping. You are probably aware that many companies have introduced signs which they use to count the days since the last accident occurred. This is like an advertisement of their safety policy and the bigger the period shown on the sign, the better. 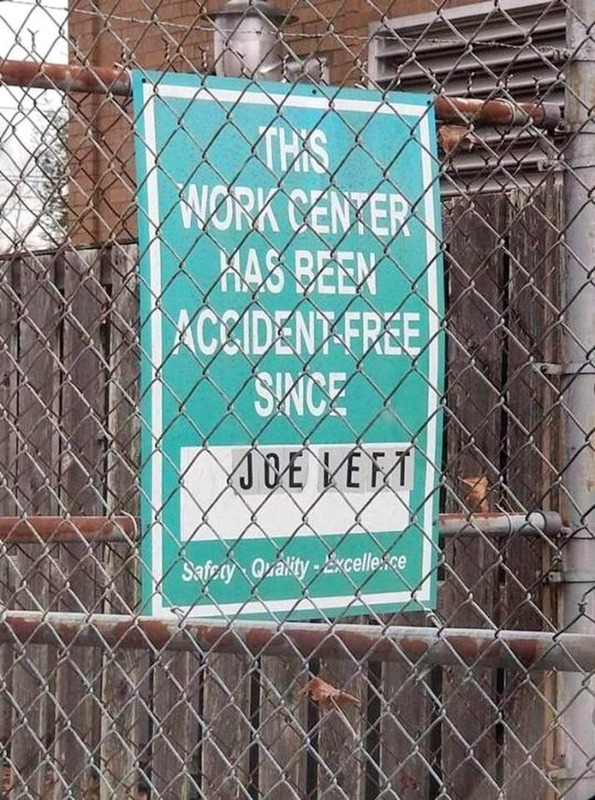 However, this is a different case and instead of a number, the sign suggests that since Joe left, there were no accidents there. This means that either Joe was the reason for all the accidents there or he was involved in each of them. You are well aware that most companies use more or less deceiving tactics that are meant to present their products in the best possible way. Of course, highly paid marketing experts are able to make that happen in a number of ways. 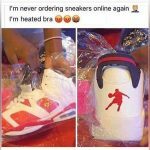 However, the best possible thing for a company to do would be to try and be honest about their products, because this would earn the customers’ trust. As you can see, things cannot be more honest than this! As funny and witty as this is, it is technically correct! 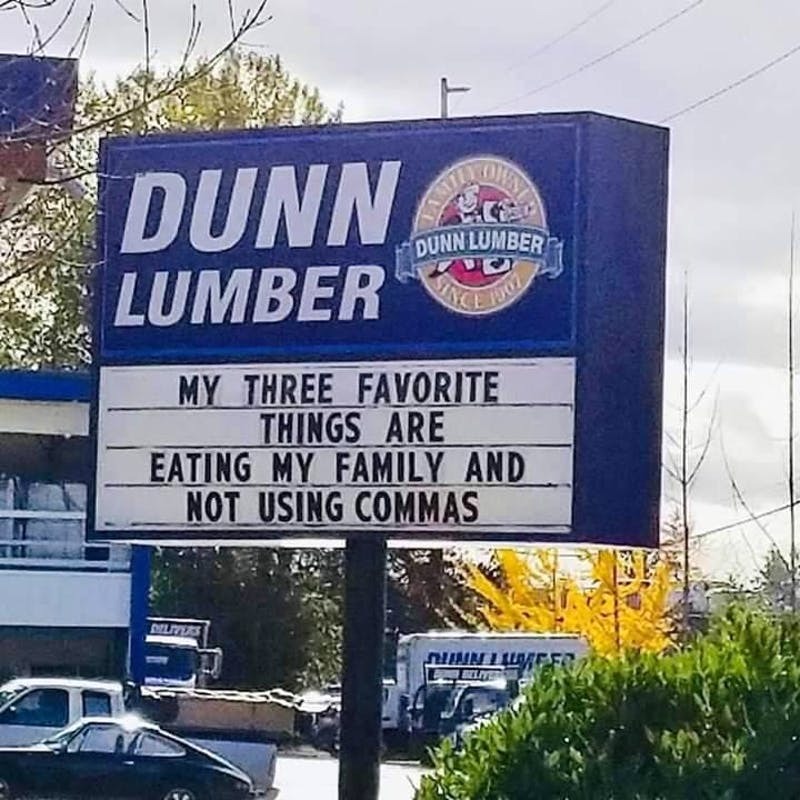 Of course, we all know what the people behind this sign meant and we get the joke, but we also like the way they created it. It takes a special kind of sense of humor in order for someone to be able to come up with something like this! As you can see, it is the kind of advertising that even the CEOs at Apple would approve! We hope they got to see this sign and had a good laugh about it. Sarcasm is the thing we love the most about a certain text, and this short sign is full of it! Being able to tell someone a certain thing that is kind of harsh and would offend them is an art, and making it sound funny is even a higher form of this art! As you can see, someone made people think about their bad habits, one of which happens to be not using the blinker when they are supposed to! We hope it worked and more people started using it! 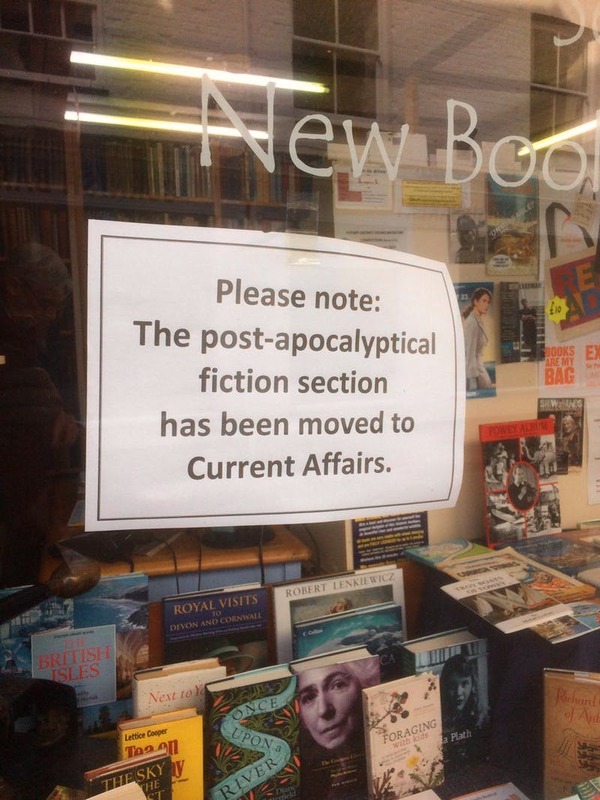 Just like the previous example, this sign is really short but it says a lot because it is full of sarcasm! As you can see, it suggests a rather good reason for people to slow down and drive with a reasonable speed according to the road conditions. Nobody would like to spend that much time with in-laws, and we believe that most people never thought about this way of doing thing. 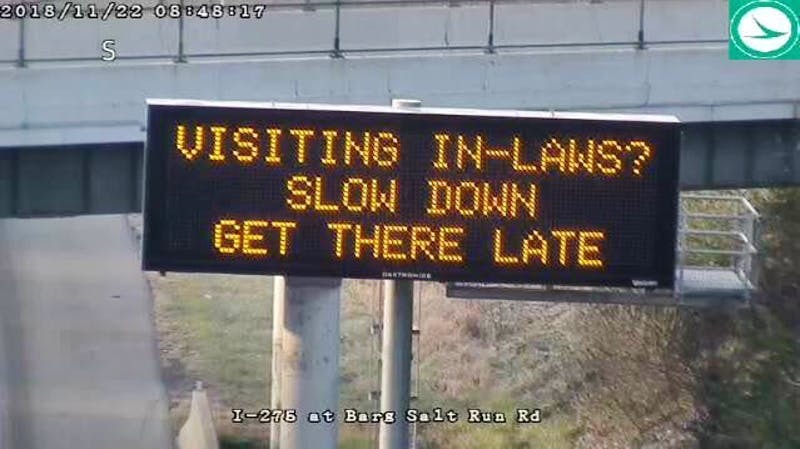 By slowing down they reduce the risk of an accident and they get to spend less time with their in-laws! 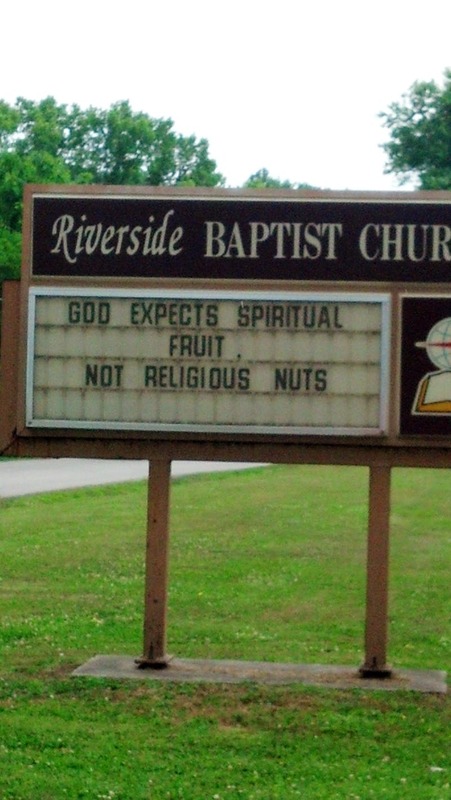 We wish we could say that this is only a funny sign, but there is a lot of truth to it! Come to think of it, some things that were considered fiction decades ago are now a reality, regardless of their nature. Some are good and other things are bad, but it is what it is. 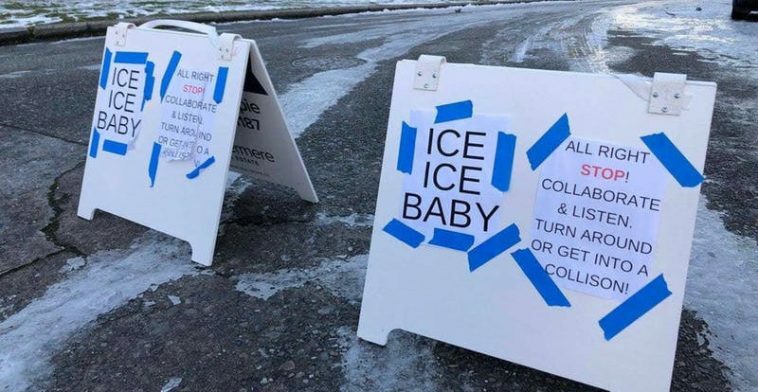 Maybe the people who came up with this sign referred to the changes in the climate and the other environmental problems that are currently becoming more and more serious. 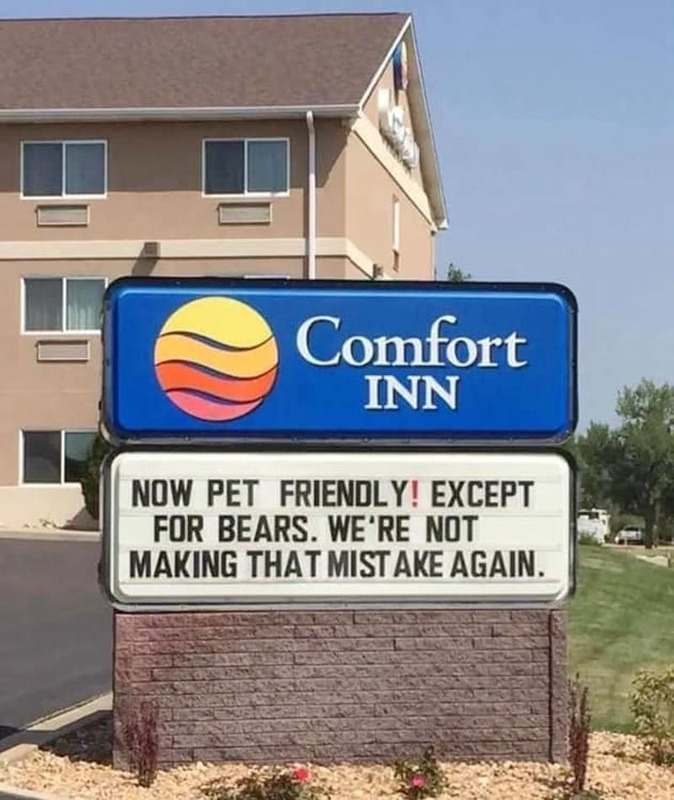 We have always wondered why most hotels are not pet-friendly. We mean, having your pet with you while on vacation is actually a way to enjoy it even more, because you would not end up thinking about the animal being all alone at home or in a pet hotel. This place decided to show that they are pet friendly and mentioned only one tiny detail. We guess that it was either a joke or someone really brought a bear with them! Sometimes the signs that different companies and businesses put outside their locations are not used for direct advertising, but rather for information purposes. 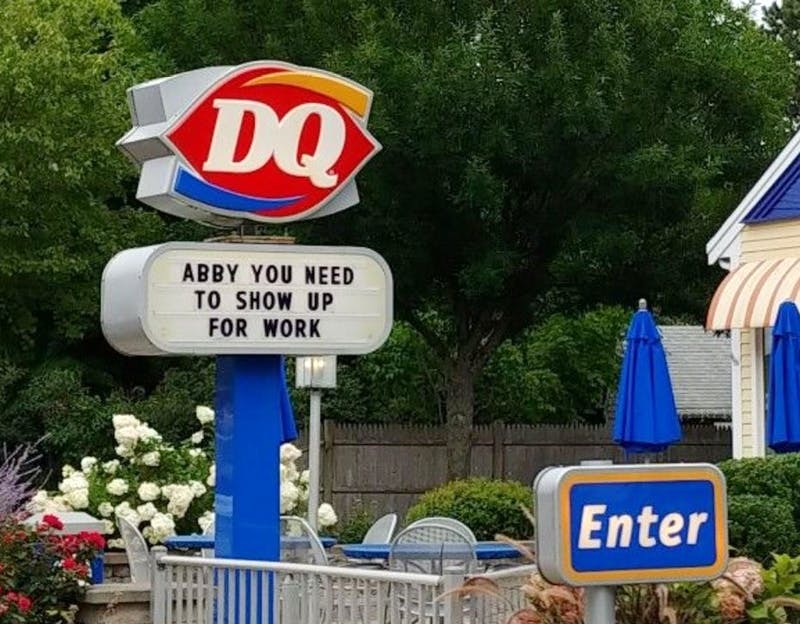 In this case, the management decided to use it and try to make Abby come to work, because they probably failed to reach her on her mobile. It is so funny to see that it actually serves its advertising purpose and everyone who noticed it probably laughed about it, too! People sometimes fail to comply with a sign they read and just what was on their mind all along. This is not okay, because it may lead to certain complications and the aftermath might be too serious to handle. 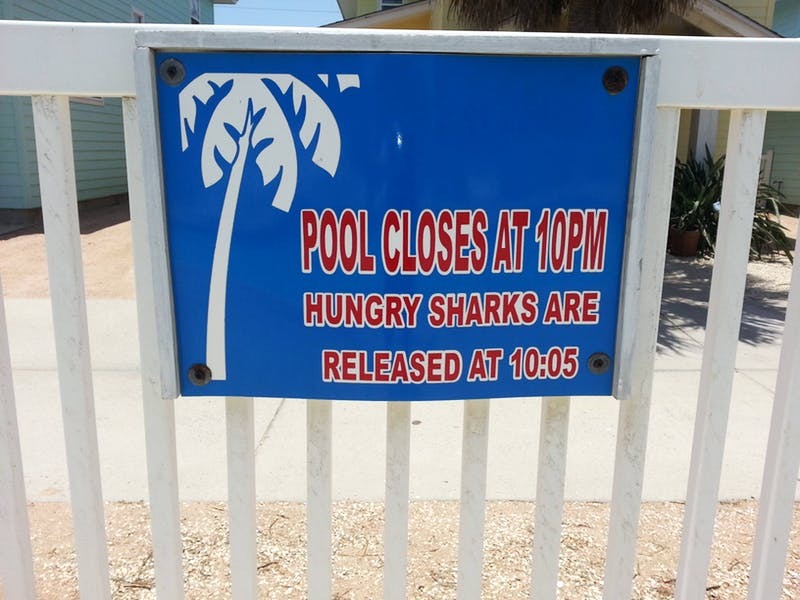 In this case, the management of the pool wanted to underline that nobody should be at the pool after 10:00 p.m. which is the pool’s closing hour. 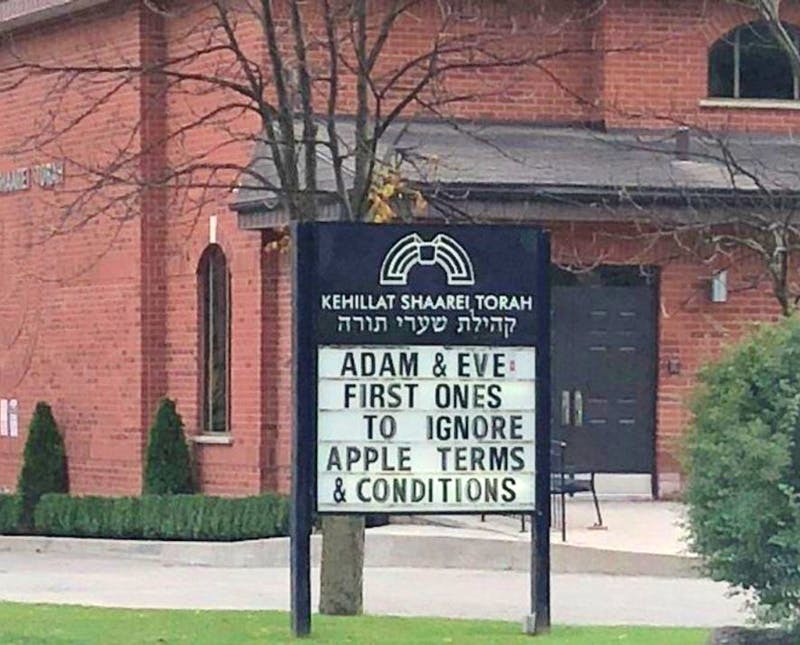 They added a funny warning that nobody would believe in, but at least they noticed the sign. We tried to think of a better sign to outside a BBQ diner, but we really couldn’t! 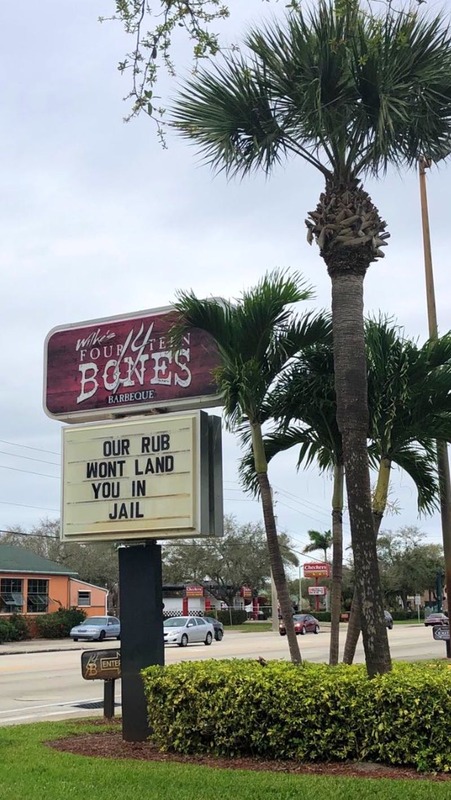 The mastermind behind this funny sign has a bright future in marketing, but it might turn out to be that it was just someone working at the diner, instead of a marketing intern or employee. The sign is noticeable from a far distance and it definitely made people happier when they saw it. It is actually nice to see the effort of someone who gave their best to amuse the others, and in this case this effort was a complete success. It doesn’t take much to bring smiles to everyone around, and in this case the diner had a lot of benefits from doing it!